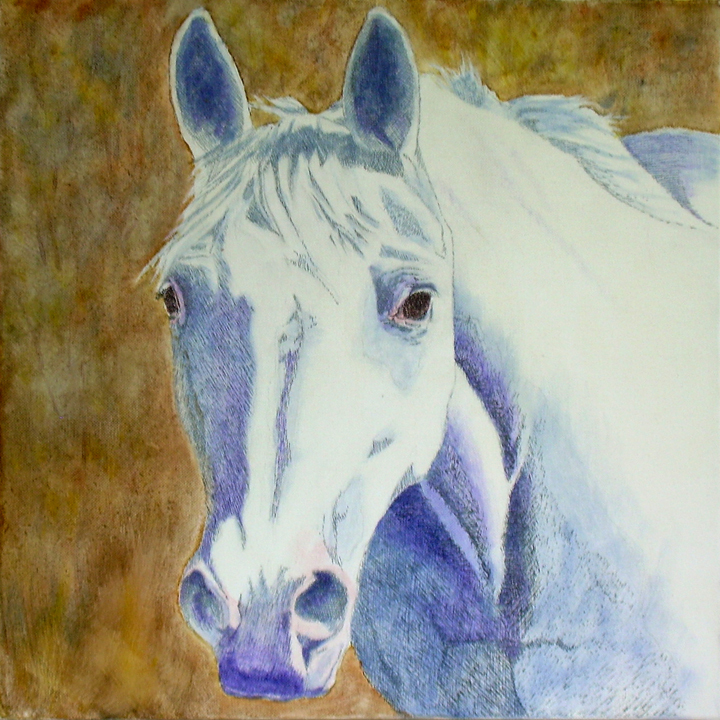 Most of these paintings are simple "head-shot" portraits, which are typically oil or ink and oil on canvas, sized 18" x 18". 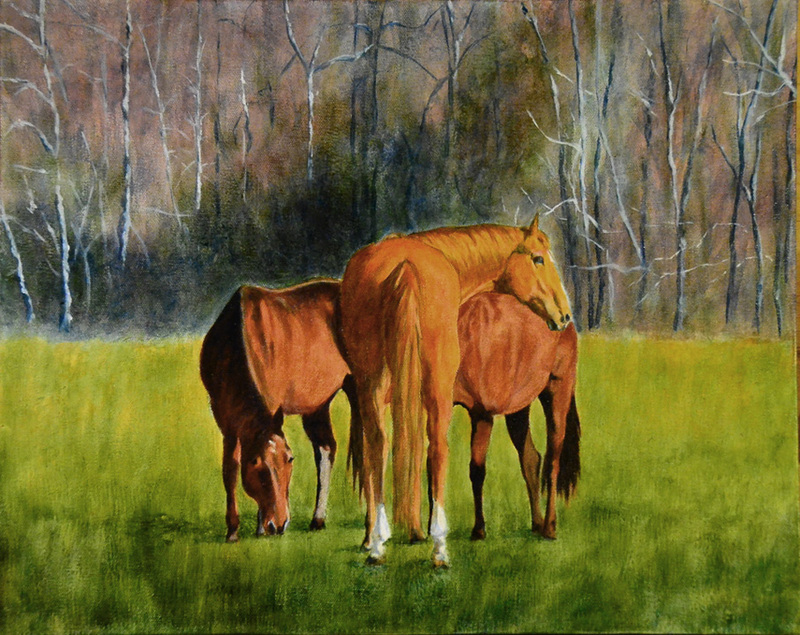 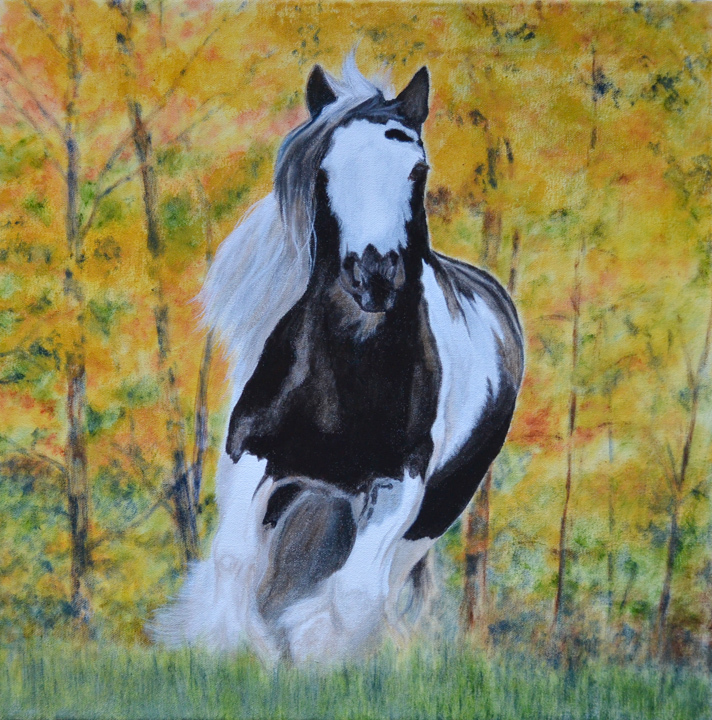 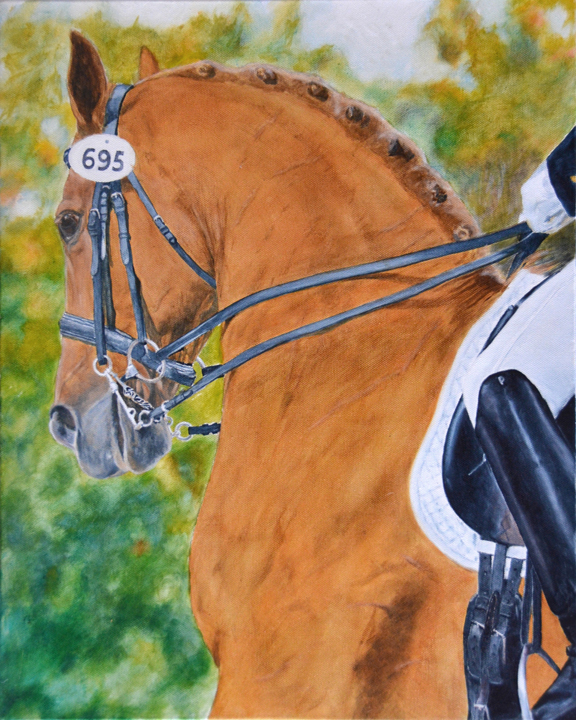 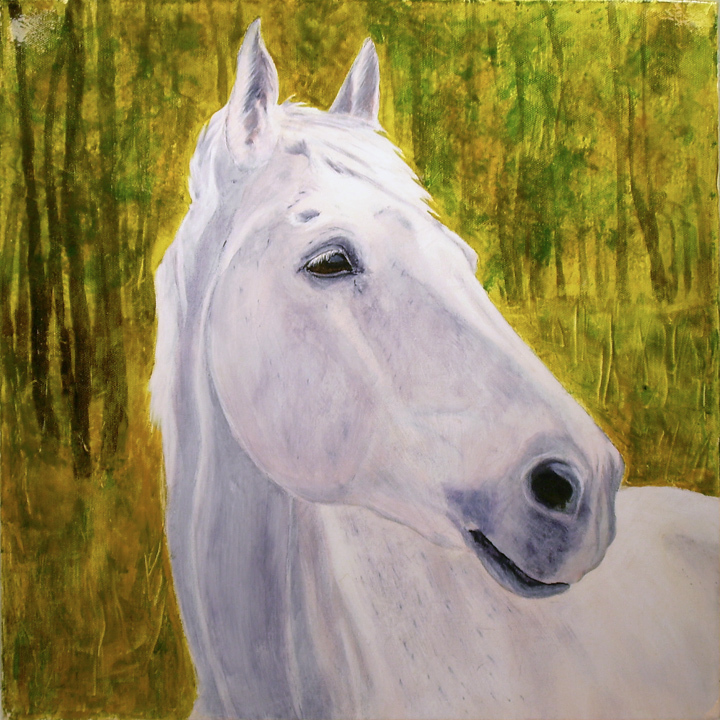 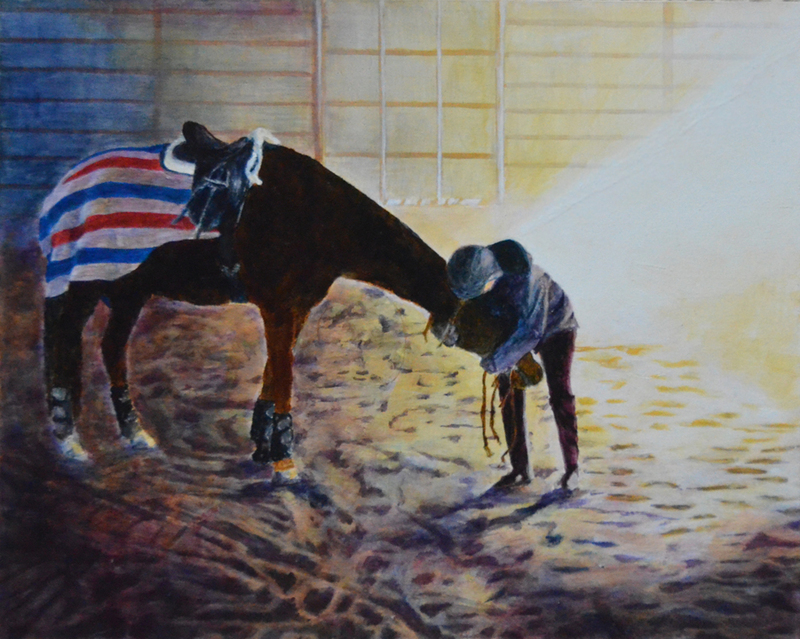 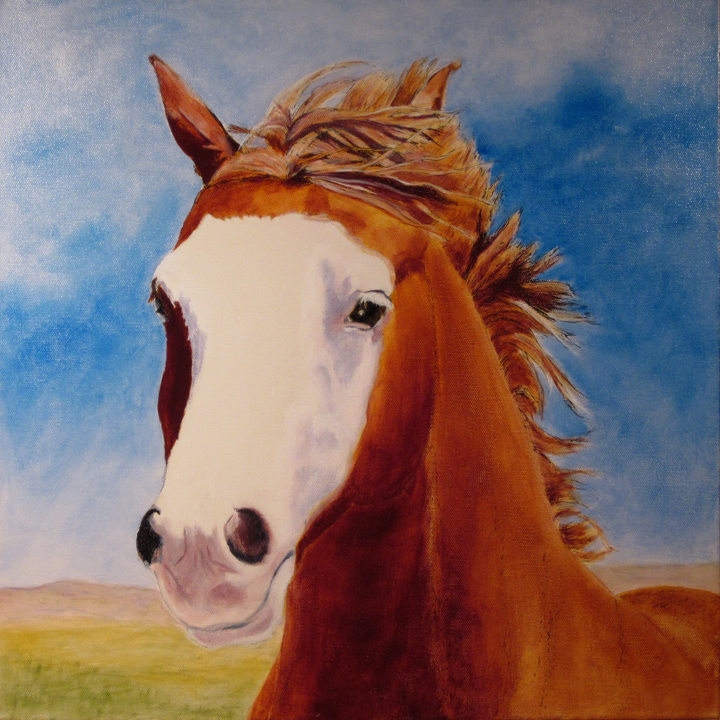 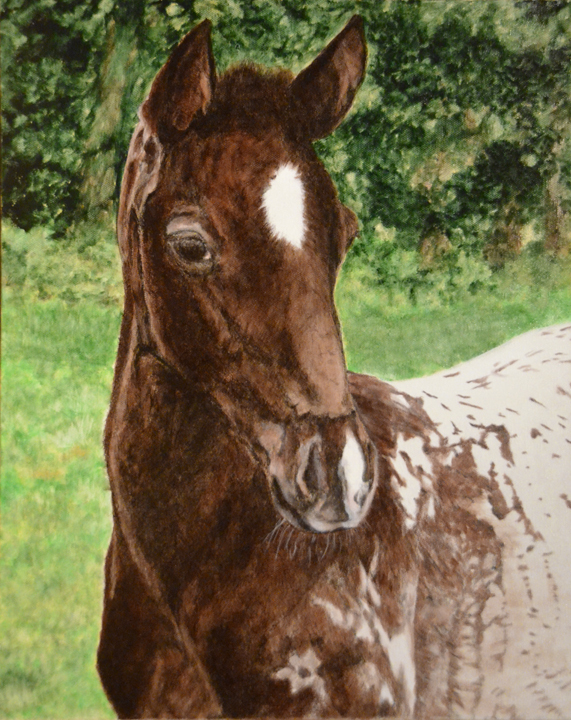 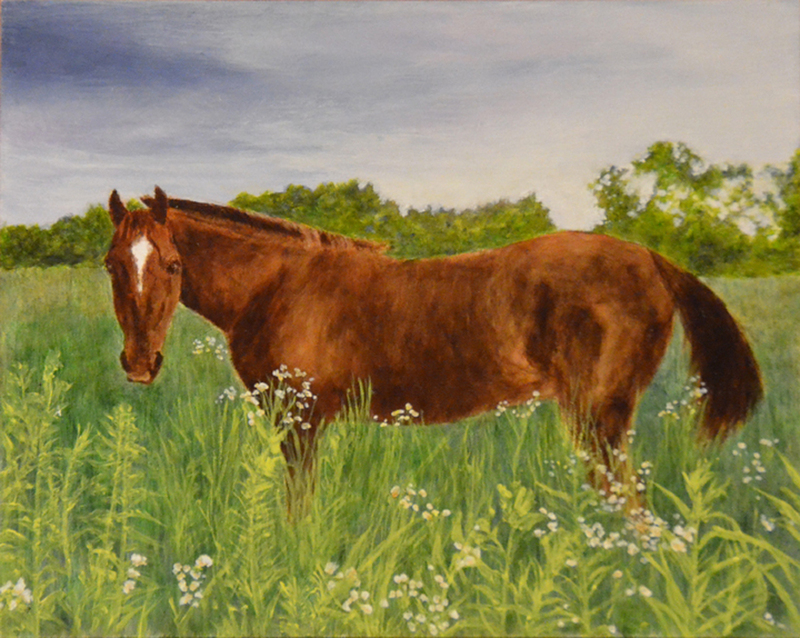 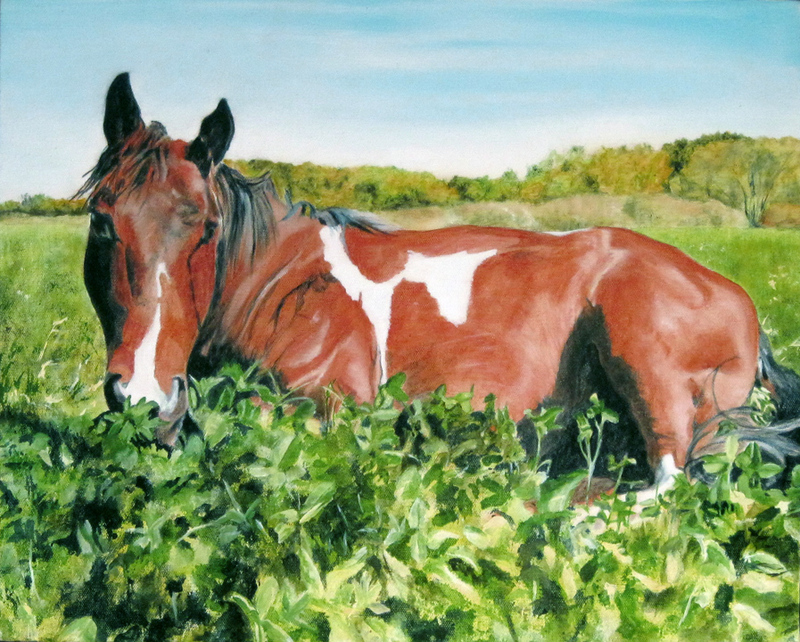 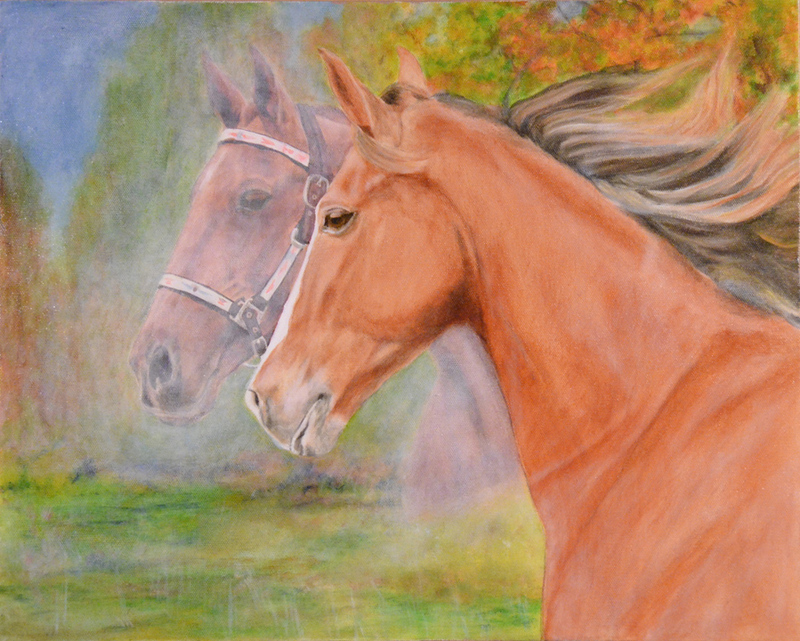 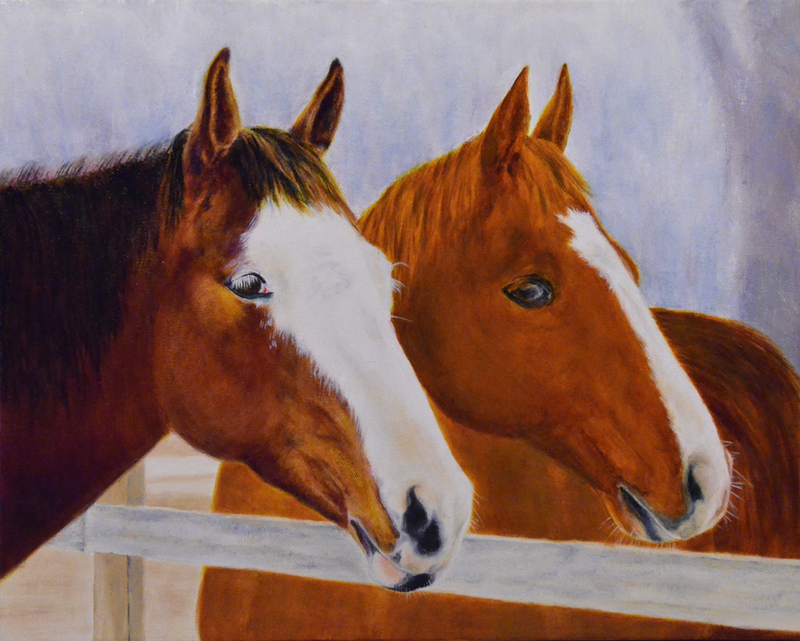 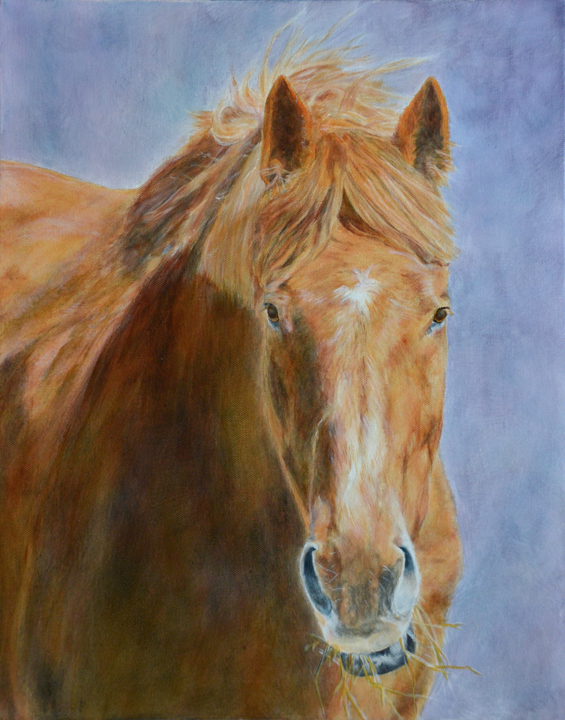 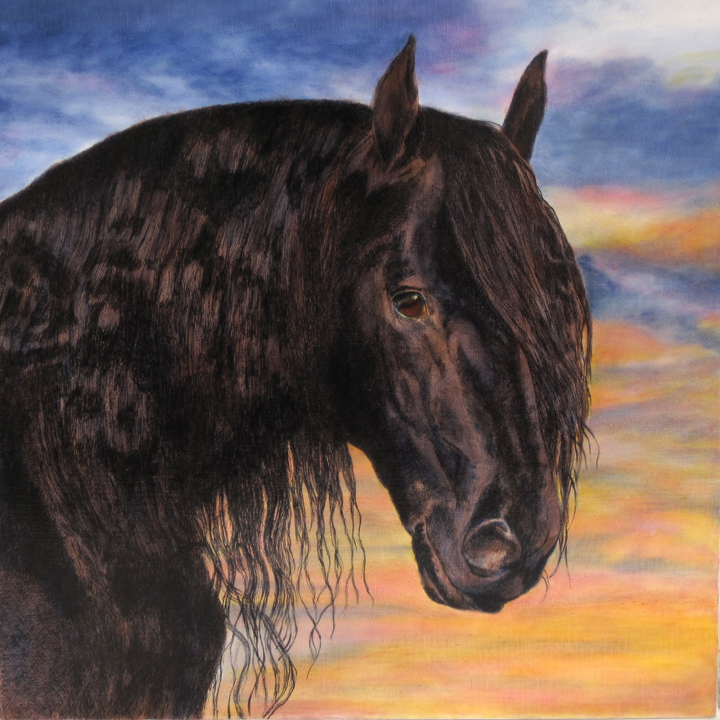 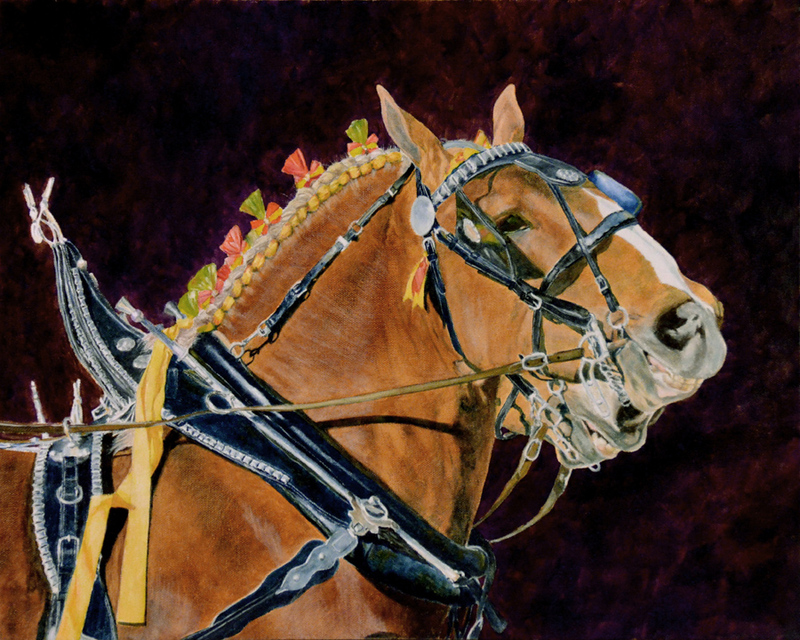 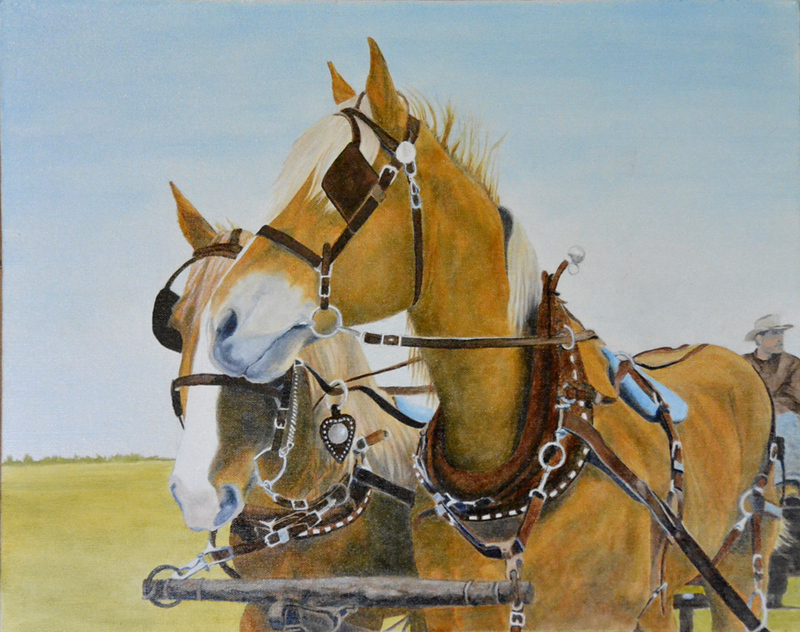 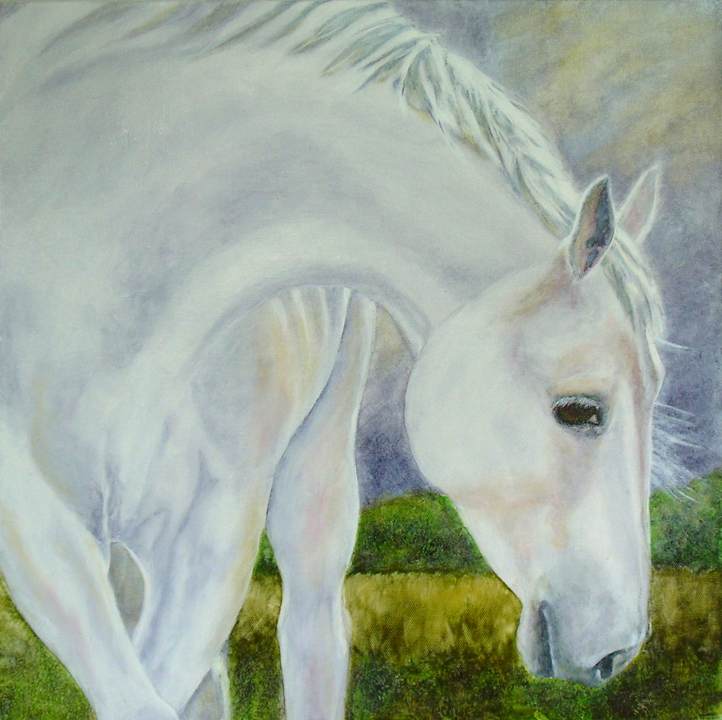 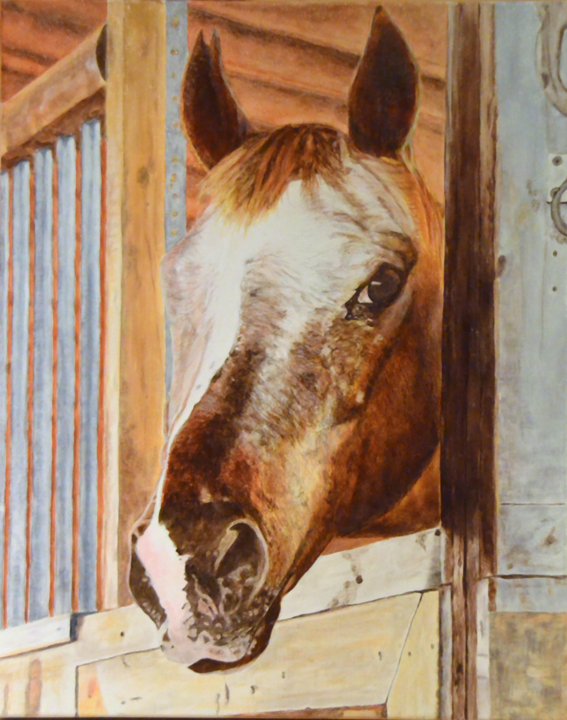 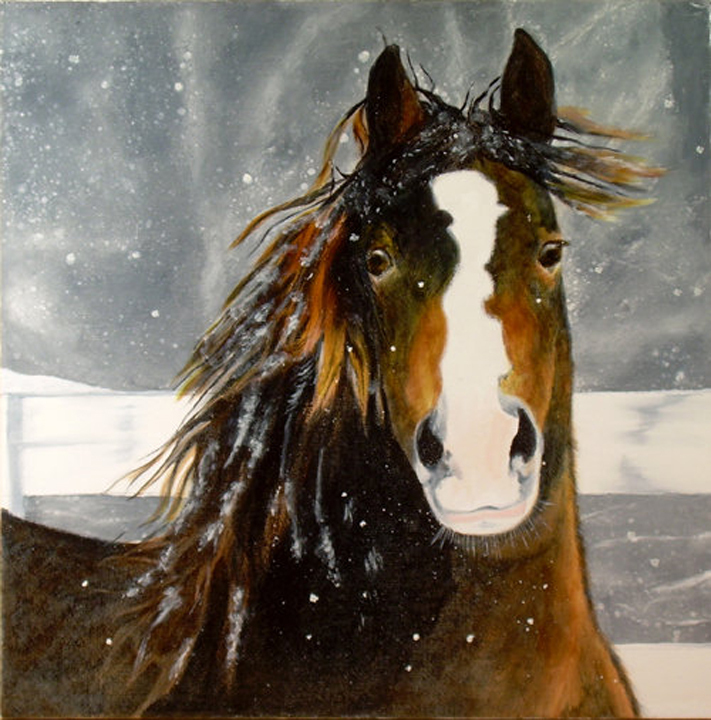 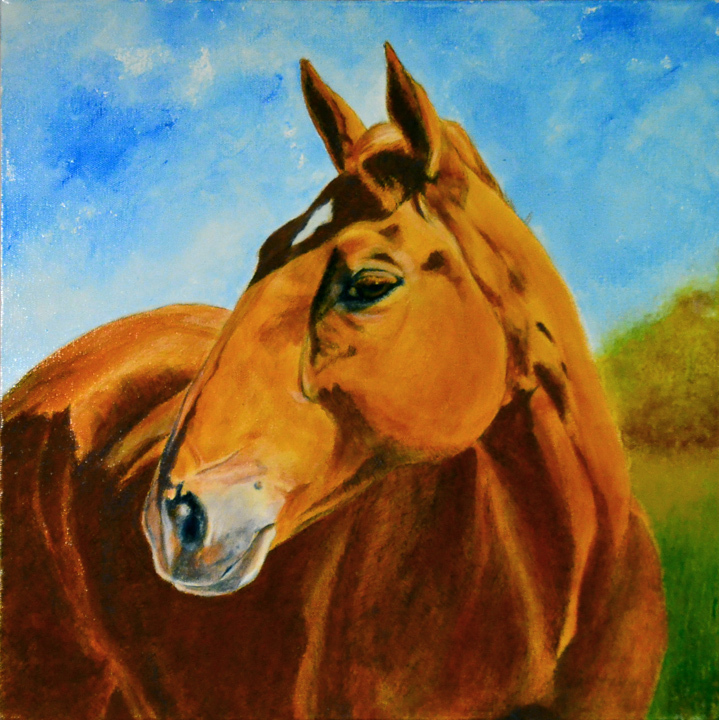 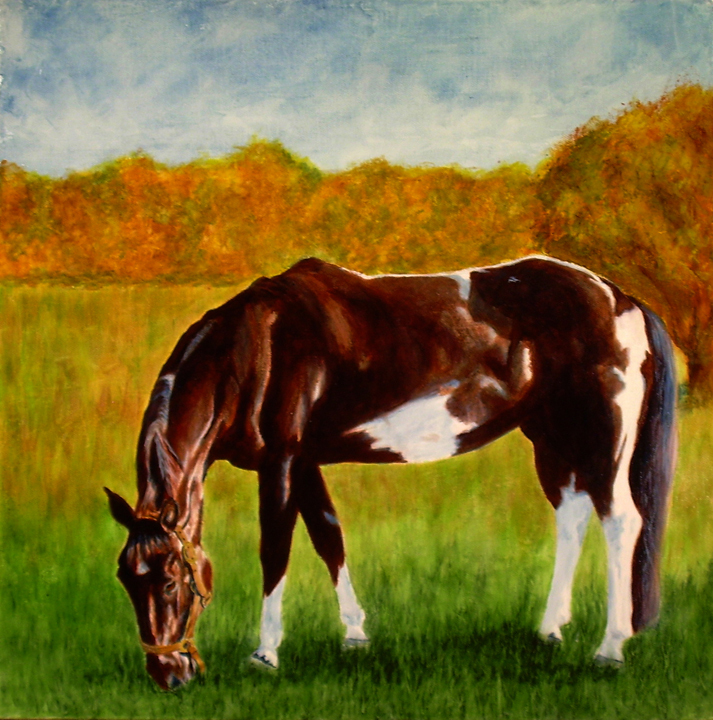 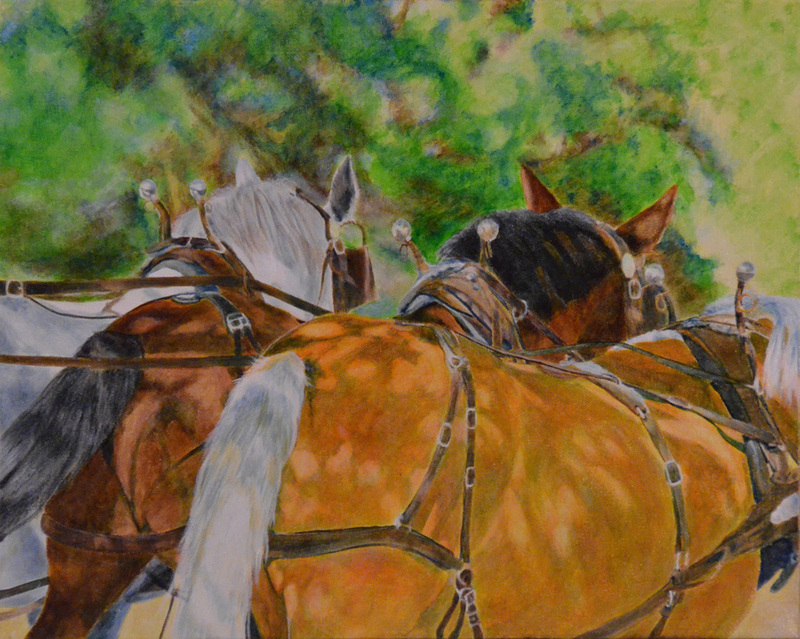 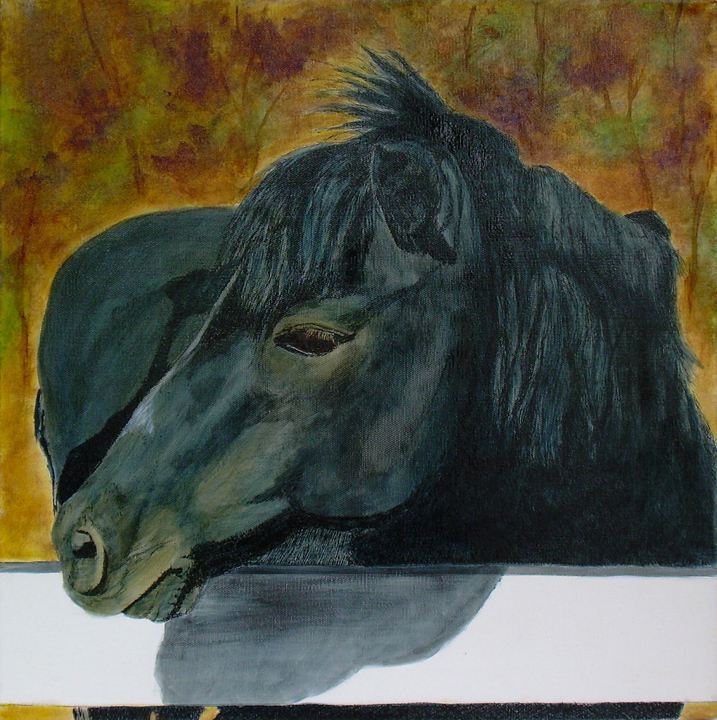 Sometimes I paint a horse or a group in a landscape setting, and these are usually 16" x 20". 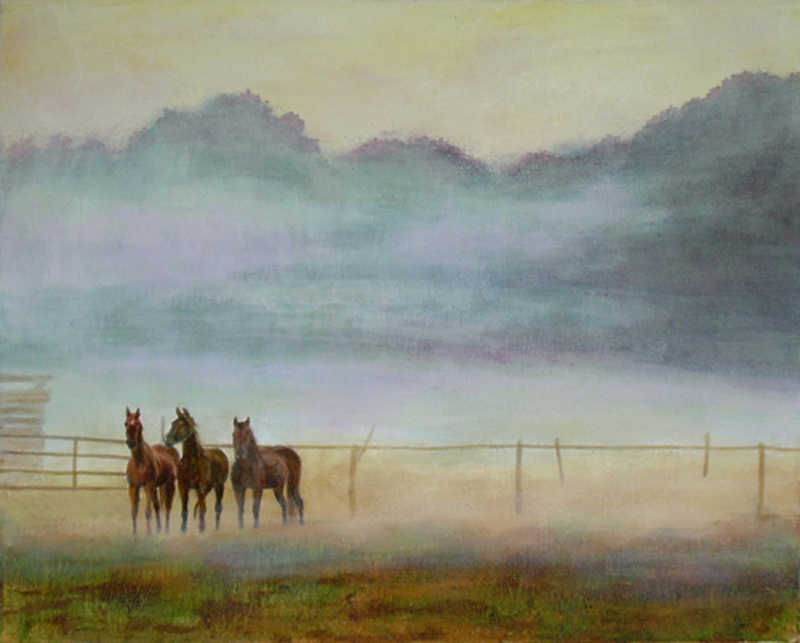 The canvases are "gallery-wrap" style, which means they project from the wall approximately 1-1/2 inches. 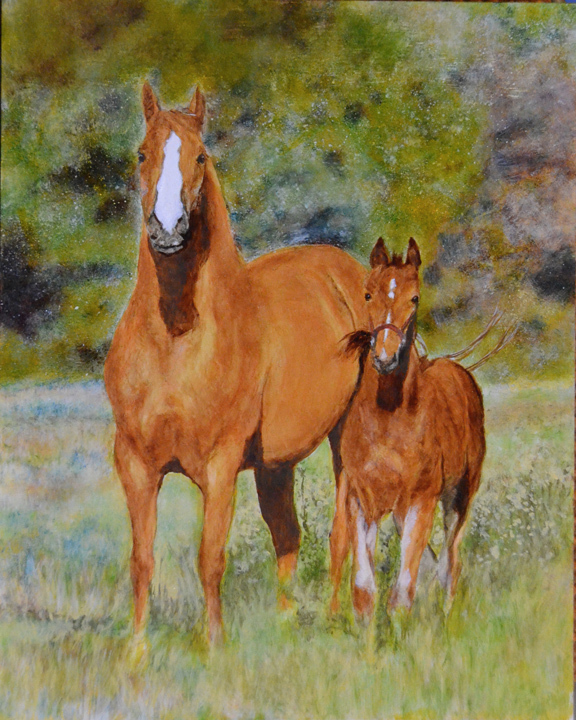 They can be hung without frames and the sides of the canvas can be painted in a color of your choice. 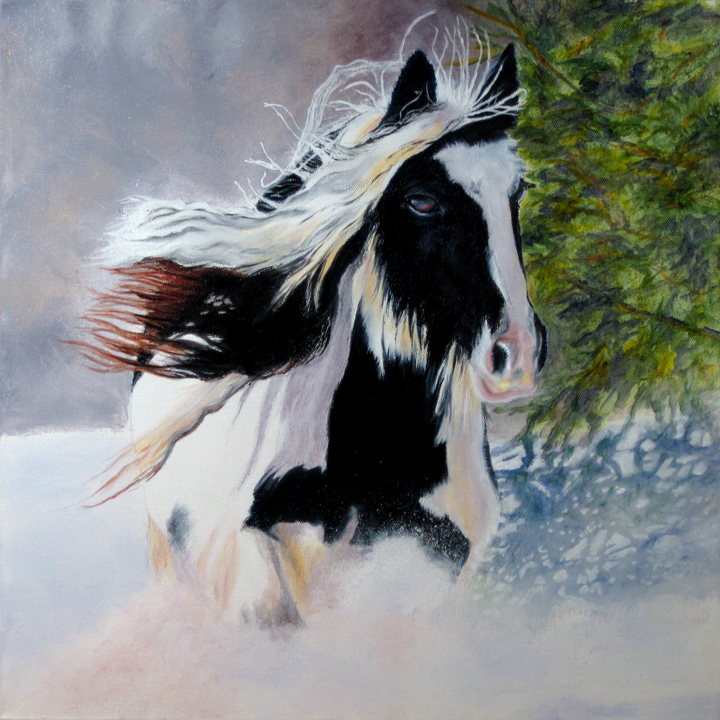 To see a nice range of available frames, please look at the "Framing Options" page. 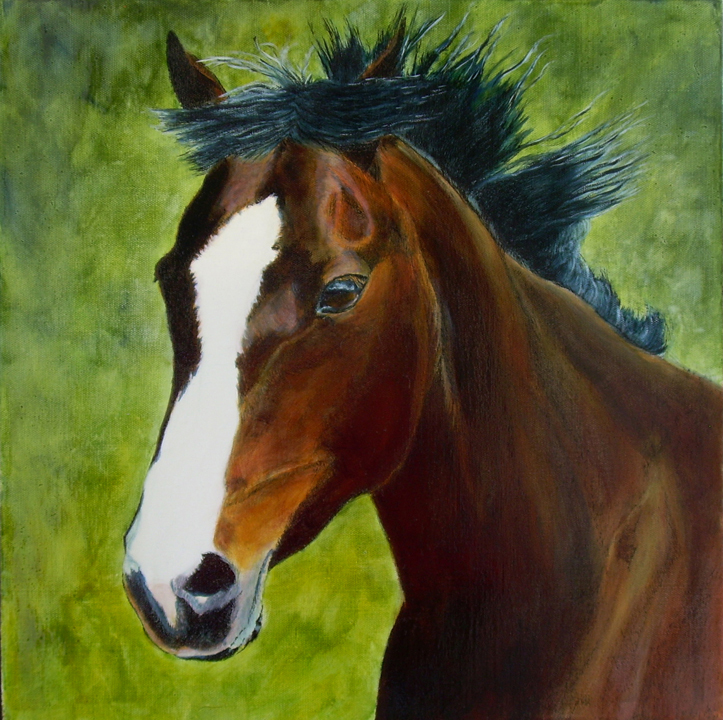 You can view these portraits by clicking individually or as a slide show.